On Tuesday September 8th, WagonWheel Presents… welcomes The Rosellys back to Sheffield when they join us at The Greystones. 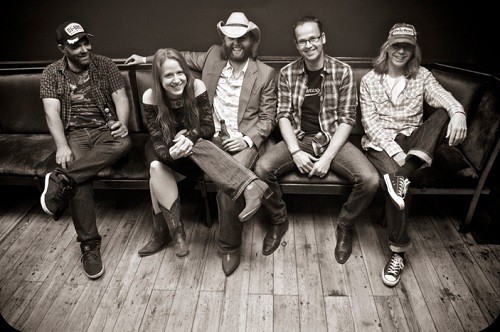 The Rosellys are a five piece Americana band from Bristol who will be touring the UK to promote their brand new album The Granary Sessions (released on Clubhouse Records). Rebecca & Simon previously played a few duo shows for us back in the days of The Grapes but have now added pedal steel, drums and bass to their line up. Regular tours to America clearly influence their song writing and live performances, with close comparisons made to artists such as Alison Krauss, Emmylou Harris, Gillian Welch and Dave Rawlings to name a few. Support comes from Mat Wale & Friends. Advance tickets priced at £6 are available from the venue (12-6pm) and at http://www.wegottickets.com/event/324019 or entry on the night will be £8. Doors open 7.30pm for an 8pm start. 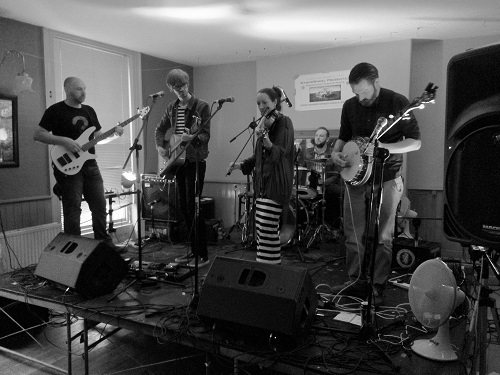 The Rosellys formed when Rebecca (guitar/vocals) met Simon (guitar/vocals/fiddle) in 2005. They’ve toured extensively across the UK, Australia and America – notably the Southern States where San Antonio, Texas has become their second home. Allan (pedal steel/accordian/dobro) joined the band in 2006 – recording on all of their albums to date including Drive Through The Night (2006), One Way St (2008) and Two Much Like Trouble (2011). Drew (drums) joined the band in 2013 followed by Matt (bass) in 2015 creating a powerful Alt-Country sound. The Rosellys have performed live on BBC Radio, KSYM Radio (USA), UKCountryRadio.com and at various festivals including Chepstow Folk Festival, FactoberFest, Worcester Music Festival, Crawley Folk Festival, Tingestock, Lazy Bishops Festival, The Woodzie Festival (New Braunfels, USA) and Maverick Country Music Festival, winning their song writing competition in 2010. The latest project from the prolific Mat Wale. Taking a stripped back approach from his work with Big Convoy and The Rackets, ‘& Friends’ offers a more lo-fi country sound including fiddle, banjo, bass and drums.